There are some things in this world – yes, products you can buy – that can make life just a bit easier as a working mama. In daily life, it’s been purchases like the Krups 4-in-1 (rice-cooker, slow-cooker, oatmeal maker, and steamer…and I’ve heard great things about the Instant Pot) that have contributed greatly to my own sanity. Or little buys like this jewelry tree organizer that save me time getting out the door in the morning. (I no longer have to fish around for a necklace!). And have the added benefit of bringing a smile to my face. Let’s face it. We all know the market is inundated with products for new and expecting parents. It can be hard to navigate through the sea of advertisements in your e-mail, in your mailbox, and even your friends and family telling you what to buy. 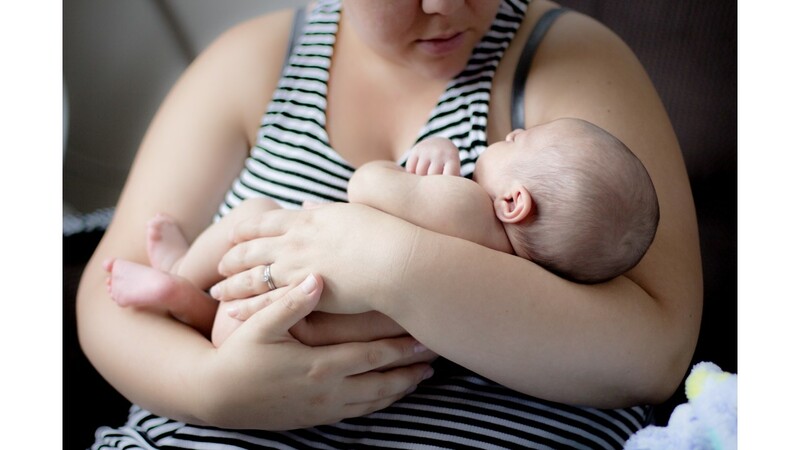 Here at Metropolitan Breastfeeding, we have a lot of moms telling us the purchases they’ve made before baby even arrived. And, like anyone else, of course we have opinions! Why it gives us pause: Any mom who’s ever tried lactation tea knows the taste is pungent, at best. Aside from that, you would have to drink more than nine cups of tea per day to see similar results to the capsule versions of the same herbal supplement. Why we love it: There have been numerous studies detailing the efficacy of herbal supplements. But our best evidence comes from the feedback we get from the moms in our practice. Our moms tell us that when they continue the capsule supplementation while they’re breastfeeding, their milk supply increases. Why it gives us pause: You don’t need an excuse to eat a cookie, let alone a cookie that costs $2.50 each. Alternative suggestion: Girl Scout Cookies are about the same amount of money per box. And they’re way more delicious. Why we love it: When you buy Girl Scout Cookies, you help support the development of young ladies across the country! Besides, if you take the supplement capsules, you don’t need the minimally extra boost you’d get from a cookie with herbs in it. If you’re trying to watch your figure, there are plenty of healthy cookie recipes you can make at home that will give you the nutrition you need while you’re nursing your baby. Why it gives us pause: We recommend disposable nursing pads for those moms who really enjoy the feeling (and “swooshing” sound) of wearing menstrual pads on their breasts. However, if what you really want is great leakage protection with a soft, comfortable feel, there are better products out there. Why we love it: They’re comfortable to wear, great at keeping you dry, and will save you money in the long run versus purchasing disposables. They also look more appealing under clothes than disposable nursing pads. They even make an overnight version! Why it gives us pause: Every time we hear a nursing mom has been wearing sports bras, there’s a collective cringe from all of the employees in the office. Ladies, sports bras are designed to keep your breasts firmly in place during strenuous exercise. That kind of support can be counter-productive to breastpumping moms. If your breasts are tightly constricted while you’re pumping, that could open the door to infection. Why we love it: Who has time to change your bra every time you need to switch from nursing to pumping and vice-versa? The Supermom bra is a dual-purpose bra that has slits for pumping and clips for nursing. You can wear it all day, even while at work. So you’ll never have to waste time changing your bra. It’s also very supportive. So you can rest assured your breasts are getting the treatment they deserve. Pro tip: Use Medela’s QuickClean Breastmilk Removal Soap to spot clean your nursing apparel while you’re on-the-go! And for moms just looking for some quick support, Simple Wishes makes a standalone hands-free bustier. Why it gives us pause: Tiny baby on a large pillow doesn’t sound like it would go well, and it usually doesn’t. Moms who own larger nursing pillows tell us their babies slide off when they’re trying to nurse, ending in frustration for everybody involved. Why we love it: Not only are these pillows contoured to fit any body, but they’re small enough to use as support without being cumbersome. Designed by a nurse practitioner and IBCLC (our very own Dr. Kathleen McCue! ), check out the littlebeam Nursing Pillow for a more comfortable bonding experience. What are some of your favorite nursing and working mom products? Share below in comments! Heading back to work after maternity leave soon? 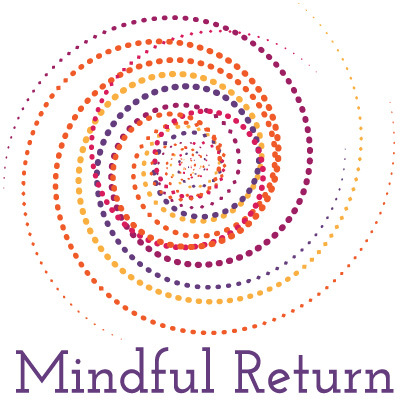 Get help with that transition by joining the next session of the Mindful Return Course!